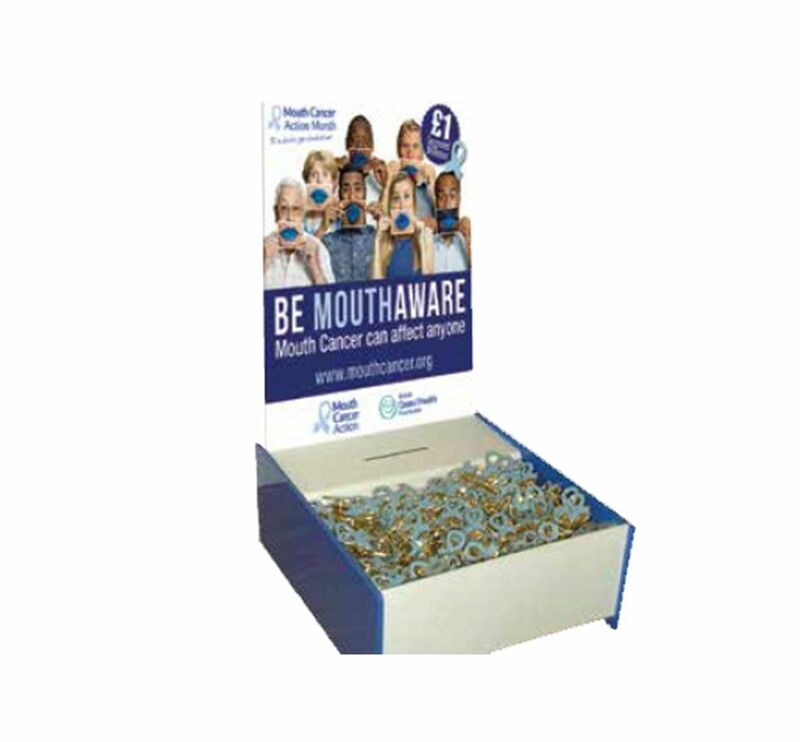 The Blue Ribbon Appeal plays a key role in engaging the public with the issues surrounding mouth cancer, talking about risk factors, early warning signs and benefits of early detection. The Blue Ribbon Appeal kit contains 25 badges and a collection box so you can display and help to raise much needed funds to support educational materials. Perhaps all your practice staff will join in and wear blue ribbon pin badges too. Enamel pin badges are also available to purchase in singles, packs of 5 or box refills of 25.